Can you believe that June is already over? July better go by real slow! I need my summer break to last longer!!!!!!!!! Well if you are coming from my friend Farley's blog, Oh Boy 4th Grade blog, you know that she has had some bad luck lately. Poor poor Farley! She is such a positive person and looks for the good in everything but I still feel sorry for her. Send some fabulous frogilicious thoughts her way. LISTENING: My son just came home from working at Six Flags Fiesta Texas and his allergies are sure acting up. He is sneezing and sniffling like crazy! Even though he is 16 years old, I still hate when he gets sick. 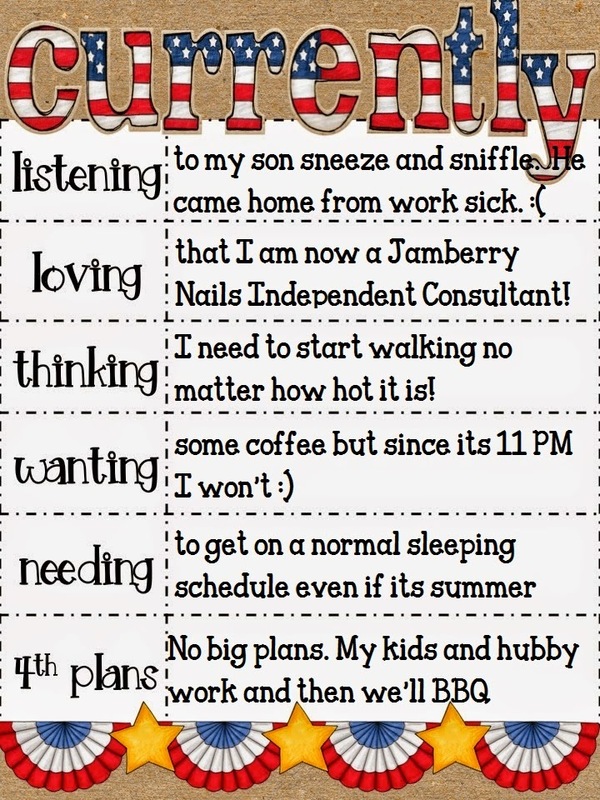 LOVING: Not only am I am Fabulous Frogilicious teacher but now I am a Jammin' Jamberry Nails Independent Consultant. Just last week I signed up with this great company and I am loving it so far! I have always (well, since I learned about the nail wraps back before the holidays) loved the wraps so why not be a consultant? I am my best customer!!!!! When I saw that the July Currently I was putting together some of my samples that were requested on my Sample Saturday! If you missed my Sample Saturday and want a sample (and don't want to wait until next Saturday) you can click here and request a sample. 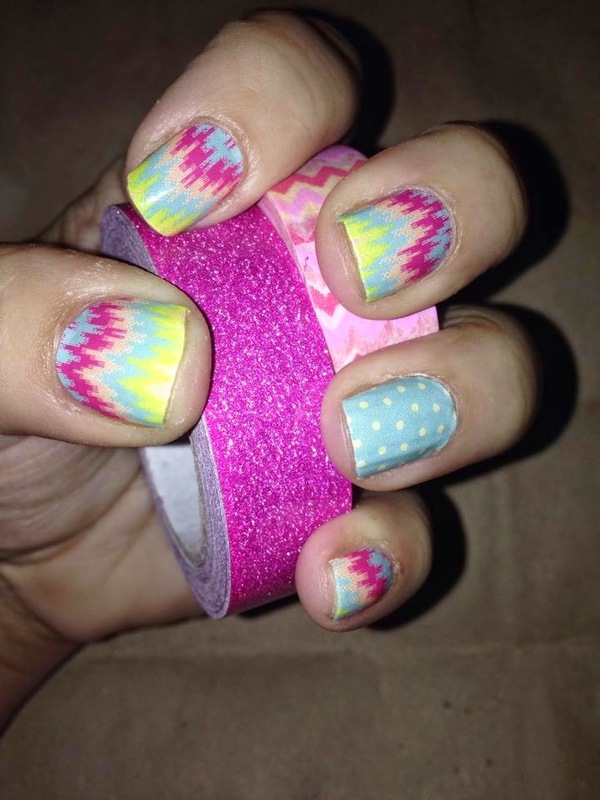 I would also love for you to come by and like my LorrainesFabNails Jamberry Nails Independent Consultant Facebook page. I would love for your to join my team or have a party and earn a bunch on beautiful nail wraps! THINKING: I promised myself that I would start walking this summer but its so darn hot! I just have to make myself wake up early and walk before it gets too hot. WANTING: I feel like having a coffee right now, yup its true! I love coffee! However, if I have a cup this late at night I won't sleep which leads me to my next point...NEEDING! NEEDING: I am definitely needing to have a normal sleep schedule. I am such a night owl plus have insomnia that I don't sleep! This morning in fact, my hubby got up at 4:45AM to get ready for work and found that I hadn't gone to bed yet. WHAT? That's plain' ol' DUMB! No wonder I am too tired during the day to get anything accomplished! 4TH PLANS: As I told you, my son works at Six Flags Fiesta Texas Amusement Park and they are expecting to be packed! He works from 9:45AM until 10PM? Talk about a long day! My hubby AKA Deputy Dog is a Bexar County Sheriff Deputy and they don't get holidays off... the bad guys don't get holidays either! :) Thankfully he gets off of work by 2:00 - 2:30 and we can BarBQ and watch fireworks from our front yard... We live a few miles from Sea World and can see them from the house! Happy July my froggy friends! 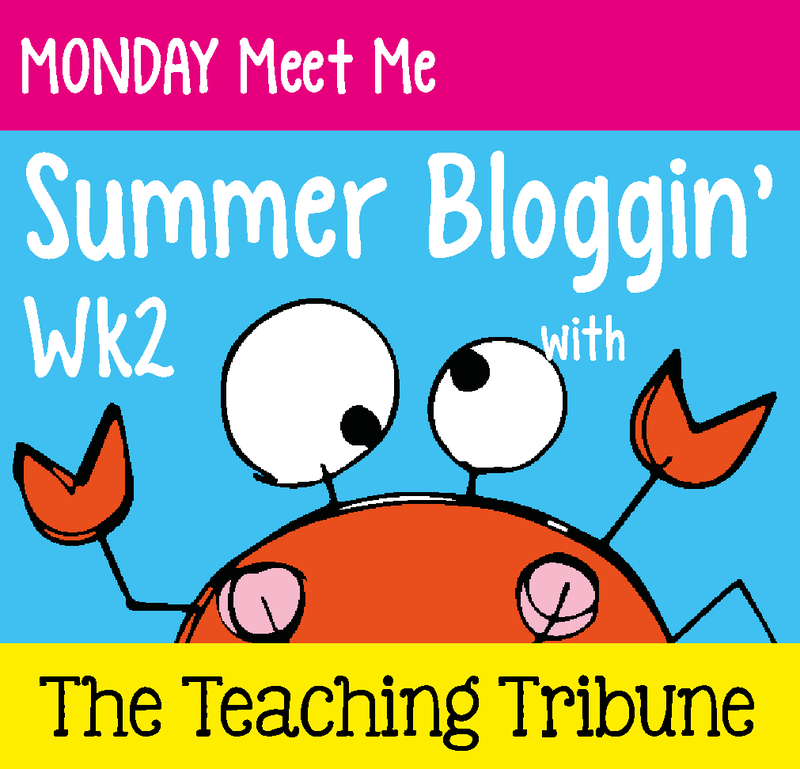 I know I've said this before but I WILL get back to blogging on a regular basis. I figured this new linky is a great way to start! This will help you get to know me (and other bloggers) better. 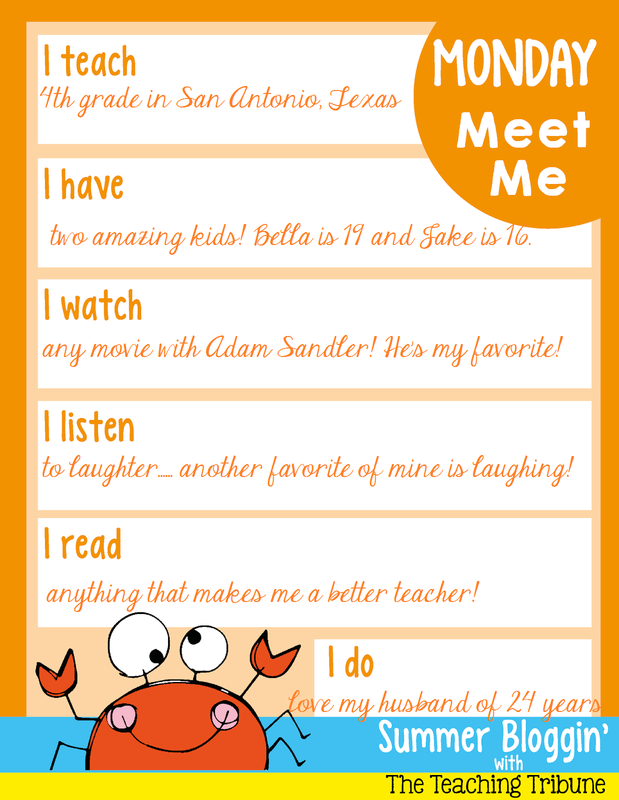 I teach 4th grade in San Antonio, Texas. This past year we tried team teaching and I taught reading, writing, and language arts. This coming year we all all going back to self-contained... both have its pros and cons but I am excited about teaching math, science, and social studies again. I just finished my 10th year teaching in public school... all 10 at the same school. I also taught 5 years in private school with some time in between to be a stay home mom. I have two amazing teenagers.... WOW, amazing and teenagers in the same sentence? Cray-cray, but its true. I have been blessed with an incredible daughter named Isabella Rose who is 19 now and an incredible son named Jacob Gregory who is now 16. Isabella works at Starbucks and goes to a local college here in SA and Jake is working at Fiesta Texas this summer and is a junior at Health Careers High School. I watch a lot of reality T.V., pathetic I know, but I do. However, I LOVE watching any movie with Adam Sandler. He makes me laugh so much and he reminds me a lot of my husband. My favorite thing to do is laugh! I love to laugh and make others laugh so therefore I love listening to others laugh. It makes me happy to see others happy. I am not a big reader but when I do read, its usually something school related. 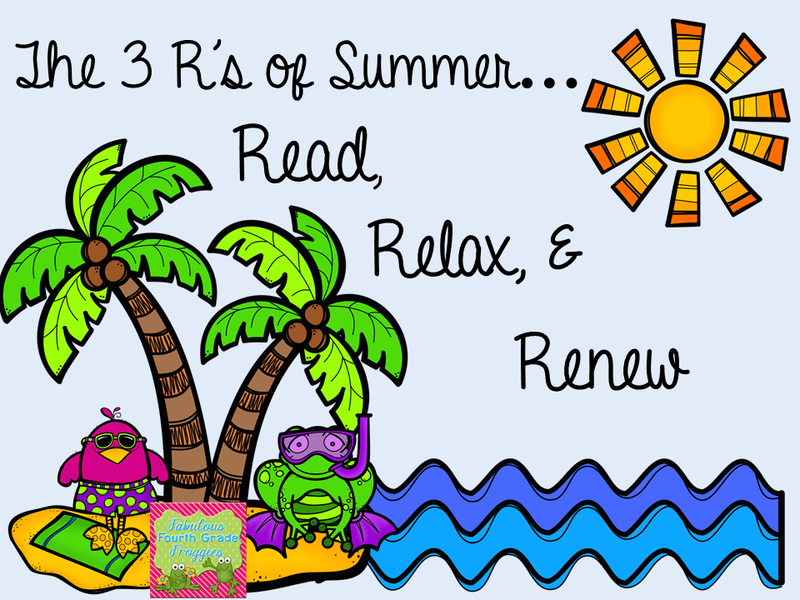 Since I am now on summer break I am planning to start reading The Writing Thief and Reading in the Wild and Poetry Mentor Text. I love the author Mitch Album and if I read something that isn't teaching related, I like to read memoirs or non-fiction. Lastly is I do... I do a lot of things but I thought I would include that I love my husband of 24 years. After all these years we still enjoy each others company. I'd love to learn more about you! Let me know something about yourself in the comments below. 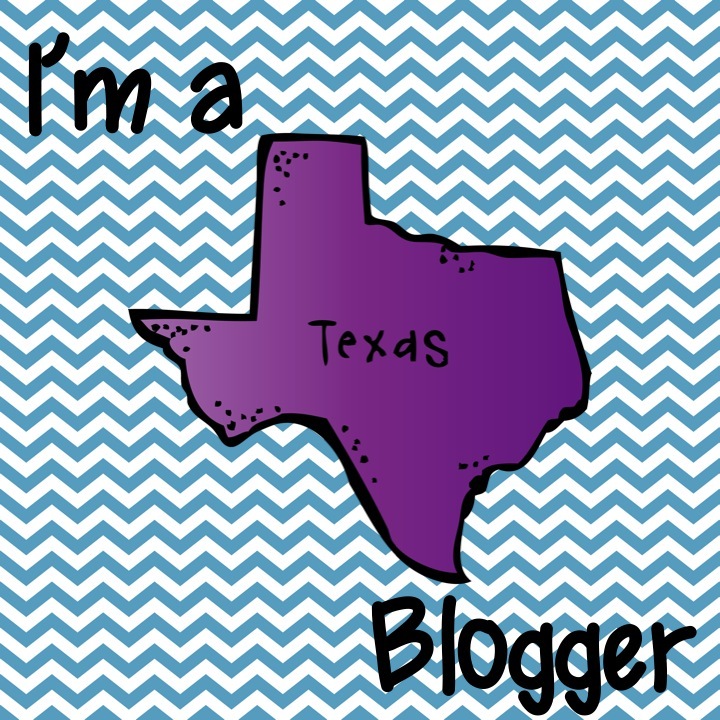 Also click the button below to join this linky or learn about other bloggers.